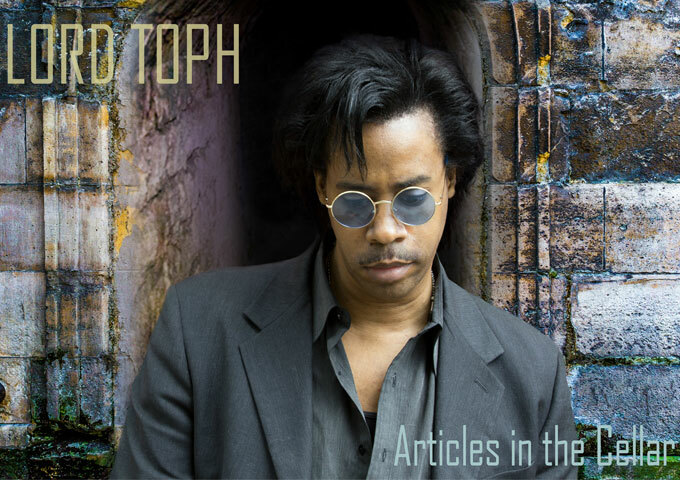 LORD TOPH has comfortably fused the Delta Blues, Classic Rock and Soul influences from his musical roots, into his new 12-track album “Articles in the Cellar”, released during July 2015. Each song takes you on a journey, giving you that classic RnB-Soul feel that is all but lost in music these days. To put it simply this album is one of the best albums of its genre, I have listened to lately. I mean I did not skip a single track and I am not kidding. I have been listening to this album over and over again for the last 72 hours before writing this review. LORD TOPH is a very passionate man and it can be heard in the words chosen as well as the spin he puts on them. I think he had a point to prove with “Articles in the Cellar” and went way beyond. 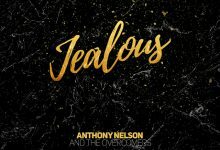 He has a strong, passionate and extremely soulful voice in the old Soul tradition, and it shows from the first track, “Foolish Games”, which kicks off the album. It has a radio-friendly hook with great singing and lyrics. “Get It Straight” and “Wanna Love Ya” has more great melody and sound like songs that could have been recorded by a 1970’s crossover soul-funk group. LORD TOPH’s voice is earnest and gruff and you truly believe that he means what he is saying here. The groovy beat is pumping on these tracks and the music is funky. By the time you get to the horns, opening the title track, “Articles in the Cellar”, it is clear that this album does not include the typical hip-hop soul or watered down crossover RnB, currently in vogue. In fact the rap verse found on this track has nothing to do with the overdone swaggering pseudo-gangsta rap stuff at all. It’s the old-school spoken word flow, which is crisp and cool. “Better Days” and “Nobody’s Fool” establishes LORD TOPH as a genuine, traditional Soul vocalist…with a twist. 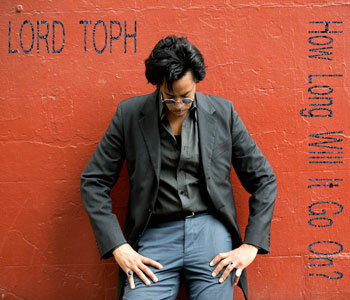 Much like Prince in his heyday, LORD TOPH has that modern contemporary funk and rock flair in his vocal inflections that sets him apart, in a genre of his own. Which brings us to possibly the best three songs on the entire album, the blues-infected “Little to Nothing”, the almost psychedelic “Said and Done” and one of the rawest, most soulful tracks I’ve heard in while, “Ever Let You Down”. No two songs on “Articles in the Cellar” sound alike. They each stand out musically with their commonality being rooted in LORD TOPH’s distinct vocal inflection which rides comfortably along the patterns of each arrangement. LORD TOPH makes you grateful that there are still some artistes around who don’t just simply set their sights on the pop charts, radio airplay, magazine covers and then take things from there. Those that do may celebrate multi-platinum sales but such performers are artistically vapid and culturally irrelevant. In ten years’ time, no one will even remember anything they did. On the contrary, LORD TOPH has a vision, a dream of making real music, and an intention of sticking to his ideals. Selected by the American Music Academy for Grammy candidacy in several categories in 2012 and 2013, I feel he needs to receive far more credit than he has so far. 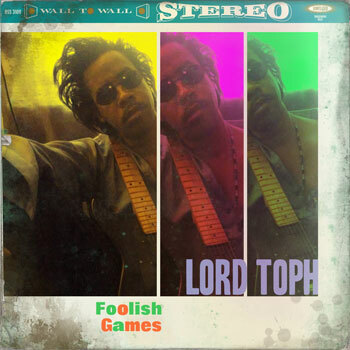 You have to love LORD TOPH for remaining true to his game and true to the legacy of good music that exists as a result of the many great soul, RnB and blues artists that have paved the way before him. “Articles in the Cellar” is a cohesive assemblage of all of these together with LORD TOPH’s own personal musical heritage blended with honesty and his unique style and flare. It really doesn’t get much better than this!